Seeing as Halloween is almost here, here’s a fun fact: America spends about $2.5 Billion on Halloween Candy alone every year! 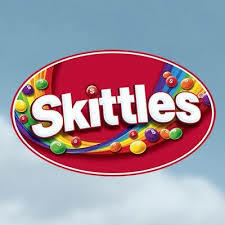 As a kid, there was nothing more rewarding than holding out my pillowcase towards the homeowner and watching them drop my favorite candy into my bag. We went ahead and made a list of the top 10 most popular candies in America, so you are prepared when the droves of children start arriving to your home. With it’s distinct fluffy texture, it’s no surprise to us that this made the list! 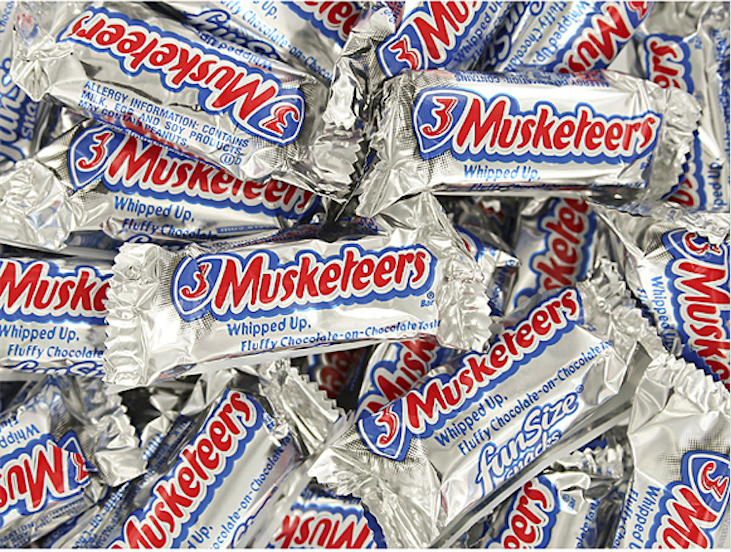 In 2013, annual sales were $101 Million for 3 Musketeers! When introduced in 1932 the candy originally came in Vanilla, Strawberry, and Chocolate flavors. Those short lived flavors were gone by 1945, when the candy began to be sold solely in the chocolate flavor. A chewy, fruity, and unexplainably juicy candy. Starburst is one of the few candies that can convince so many people to tear through multiple layers of wrappers consistently. 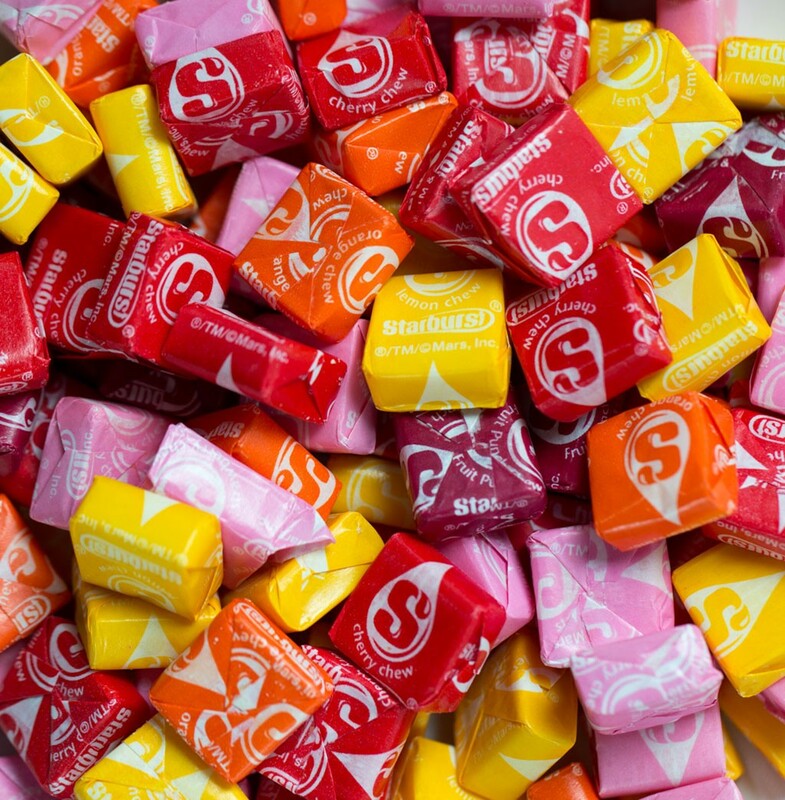 Originally named Opal Fruits in 1960, the name Starburst wasn’t adopted until it was introduced in America in 1976. 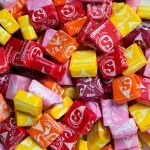 No matter what you call it, Pink is still the best Starburst flavor. 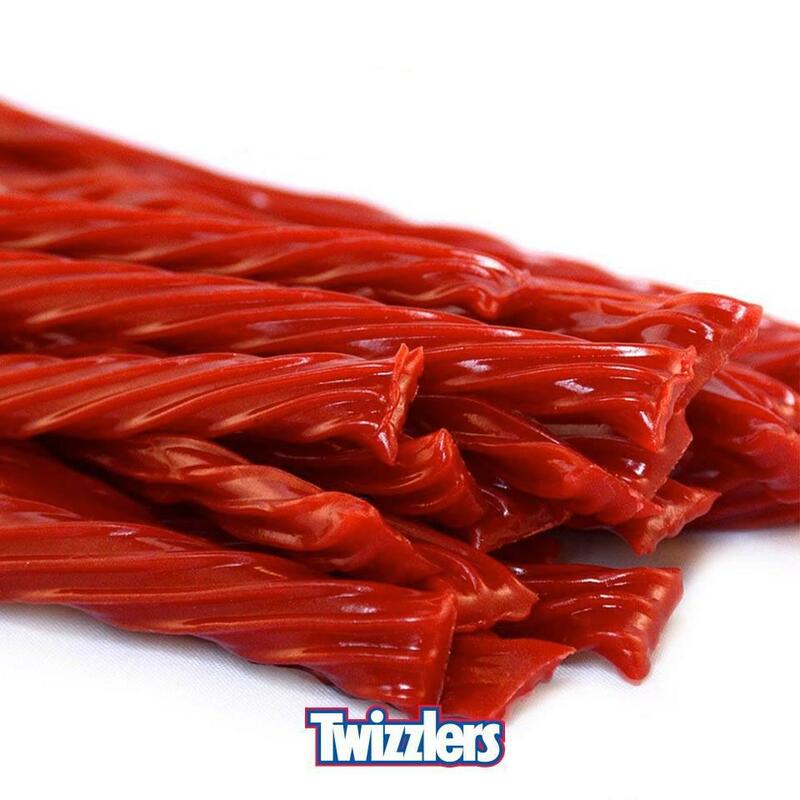 Introduced in 1845, Twizzlers are one of America’s oldest candies but they don’t seem to be losing popularity amongst consumers yet! Twizzler makes about $158 Million in sales annually! The strawberry flavor is the most popular flavor, but personally if you haven’t tried the Pull-n-Peel Cherry Twizzlers yet, you need to. 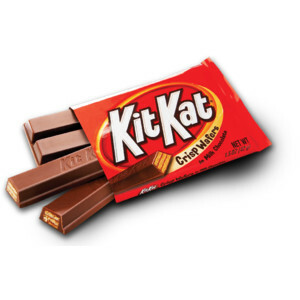 Break me off a piece of that Kit Kat bar! The crispy, crunchy bar is so simple yet one of the most satisfying candies we’ve ever received on Halloween. It’s creation story is a bit cloudy, but most trace it’s beginnings back to 1911 in York in the UK. I won’t lie, I didn’t know what exactly was in a Snickers, I just knew that it was delicious. Allow me to inform you of this new revelation; A snickers is a combination of nougat, caramel, peanuts, and chocolate. 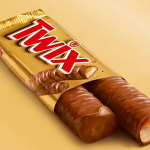 In 2013, a slower year for Snickers, they made $453 Million! 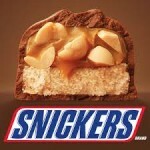 You’re not you when you’re hungry, so make sure to grab some snickers this year. 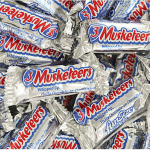 Another classic, simple candy that doesn’t need to be complicated to love it. 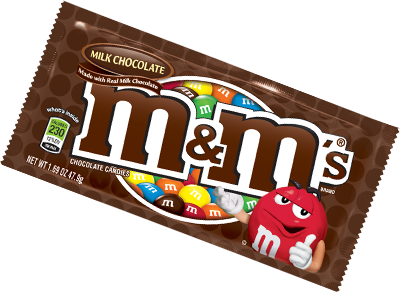 A thin candy shell around milk chocolate that comes in a seemingly never ending variety of colors has made M&M’s the 2nd most popular candy in america. Reese’s began in 1928 when a dairy farmer and Hershey shipping foreman named H.B. 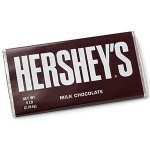 Reese was inspired by his boss, Mr. Hershey, and left his dairy business to enter the candy industry. 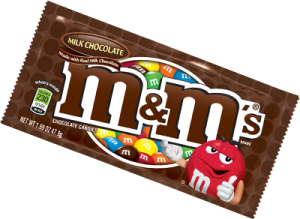 We are so glad that Mr. Reese began experimenting with confections in his basement as it provided us with the #1 candy in America. If you’ve managed to read this whole article without stopping at the store for some candy, you’re much more strong-willed than we are! 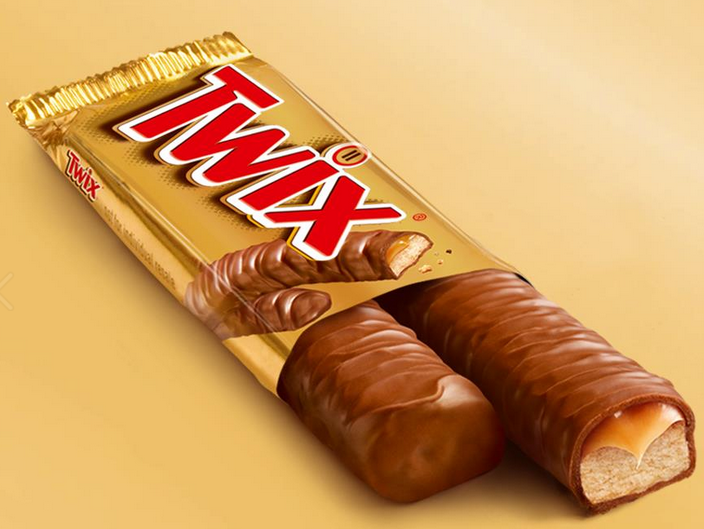 These are the most popular candies in America, but there’s plenty more to choose from. No matter what’s your personal favorite candy, Halloween is a great excuse to buy too much of it and be forced to eat the leftovers.